Dr. Randy Lozada now offers emergency dental services at his dental offices in Los Angeles, Lancaster and Santa Clarita. Los Angeles dentist, Dr. Randy Lozada, now offers emergency dental services. Dr. Lozada practices in Los Angeles, Lancaster, and Santa Clarita with offices in all three cities and can provide services to patients suffering from dental emergencies. Emergency dental care is essential for stabilizing dental health in case of infection or disease and can make the difference between losing and saving a tooth. A toothache can be a symptom of several dental issues ranging from minor to serious, including sensitive teeth, exposed roots, cracks, fractures, cavities, deep decay, infection, and abscess. Finding the underlying cause and addressing it will relieve the pain and protect the tooth from further damage. A lost restoration can lead to tooth damage and may leave the tooth vulnerable to decay or infection. Replacing the filling or crown as soon as possible is critical to preventing further injury. Tooth injuries can occur as a result of a direct impact to the face or mouth, or may happen when a person bites down on something hard. The tooth may be quite painful if the nerve is injured or exposed, and it may need a filling or crown to protect it. “Dr. Lozada’s patients enjoy only the most exceptional treatments utilizing the most advanced and modern dental technology and techniques coupled with a superior level of professionalism, service and care,” his team said. “We create individualized dental treatment approaches to dental care that achieve optimal health through disease prevention.” Other treatments offered include cosmetic dentistry, teeth whitening, dental implants, orthodontics, dental fillings, dental crowns and root canal treatments. 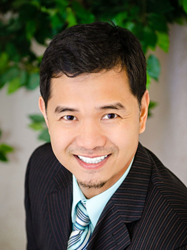 After practicing internationally in the Philippines and then in Southern California, Dr. Lozada opened his practice in the Santa Clarita Valley area in 2007. He has more than two decades of experience and has brought healthy, happy smiles to thousands of patients. He has worked with people from around the country and around the world. When he is not in the office, he enjoys musicals, movies and athletics.